Whereas some cryptids attract and retain widespread interest and attention, others are forgotten almost as soon as they are documented, even though their mystery remains unsolved. 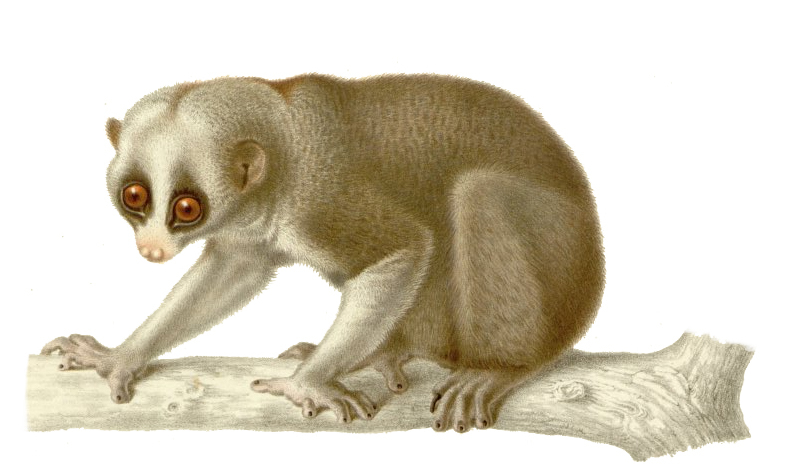 Sadly, the tailed slow lorises of the Lushai Hills fall into the latter category of cryptozoology. Two of these white-coated, woolly-furred prosimians were captured and photographed by a Mr T.D. La Touche of the Geological Survey of India during December 1889 (though not documented until 1908), in the jungle near Fort Lungleh in Assam’s Lushai Hills, during the Lushai Expedition of 1889-90. However, they escaped shortly afterwards, and were not recaptured. 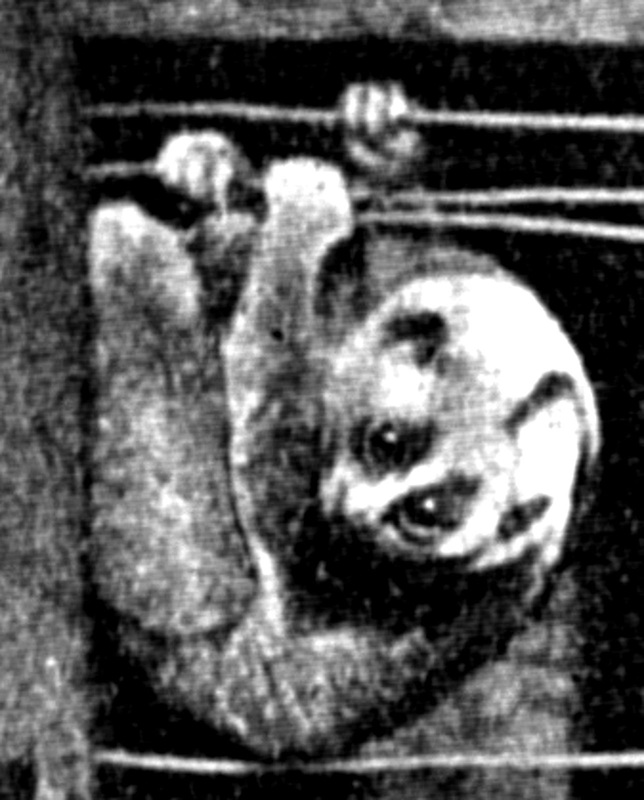 Overall, they seemed akin to the familiar slow lorises of the genus Nycticebus, as they possessed short but stout limbs, a large rounded head, flat face and small muzzle, short roundish ears, large eyes each encircled by a dark triangular patch, and a narrow black stripe running from the skull’s occipital region along the entire length of the back. 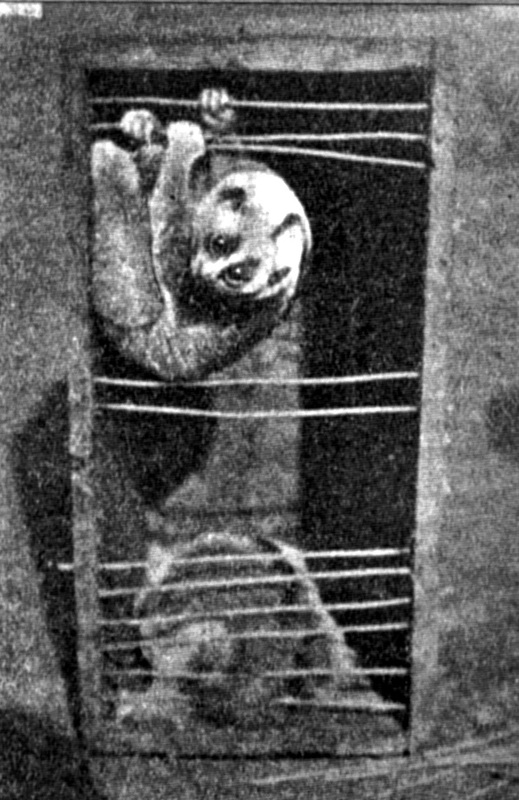 However, as clearly revealed in the photograph opening this present ShukerNature blog post, and which originally appeared in a short article by Dr Nelson Annandale, Superintendent of the Indian Museum, documenting them in the Proceedings of the Zoological Society of London for 17 November 1908, the remarkable loris form represented by these two briefly captive specimens differed dramatically from all other lorises in one very conspicuous way – it had a thick bushy tail! In stark contrast, the tail of all known species of slow loris is vestigial. Moreover, confirming that the tail was not simply an optical illusion within the photograph, Mr La Touche assured Dr Annandale that it was indeed present in both of the captive animals. And in a postscript of 5 January 1909 to his PZSL article, Annandale announced that he had learnt from a Colonel E.W. Loch that the tailed slow loris of the Lushai Hills was well known to him too. Consequently, unless it is a teratological, freak variety of the Indian slow loris N. bengalensis, the tailed slow loris of Lushai Hills constitutes a radically new species of slow loris still awaiting official recognition – for which, in my book, The Lost Ark: New and Rediscovered Animals of the 20th Century (1993), I proposed Nycticebus caudatus (‘tailed slow loris’) as a suitable name. Perhaps the greatest riddle of all, however, is why such a visually distinct form of loris has apparently never been reported since the 1908 PZSL account’s 1909 postscript, not even by local Indian naturalists who would surely have been fascinated by such a creature. 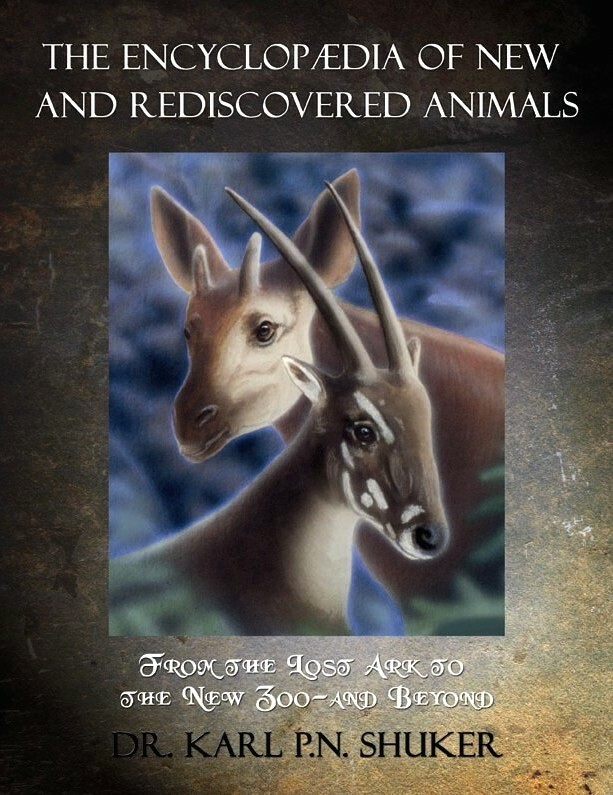 Judging from Col. Loch’s statement that it was well known to him, the two captured specimens were not the only ones that existed back in the early 20th Century, so what has happened since then – has this unique form died out? Clearly, the mystery of the tailed slow lorises of the Lushai Hills endures, even if, tragically, the lorises themselves no longer do. This ShukerNature blog post is an expanded excerpt from my book The Encyclopaedia of New and Rediscovered Animals (Coachwhip: Landisville, 2012).